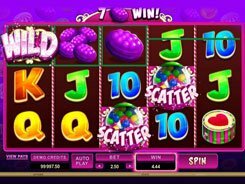 This is a 3-reel video slot with a single payline. 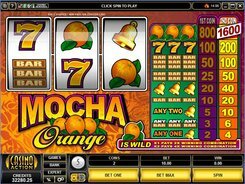 The game is very similar to authentic Vegas-style machines, but with a fun orange fruit theme. The dominating color is orange, and you will see it everywhere, including the background image, the symbols and the interface. 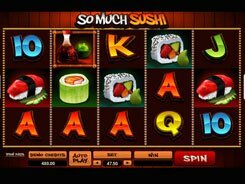 The slot features standard symbols such as bars, bells and sevens, as well as theme-related oranges. 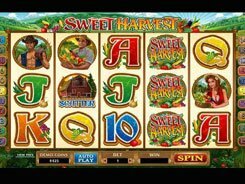 As in most three-reel slots by Microgaming, this particular game offers a coin value ranging from $0.25 to $5, with one or two coins accepted per line, which means a $10 maximum per spin. All the symbols, except for oranges, pay out 2 to 200 coins. Bar symbols have a very handy perk. 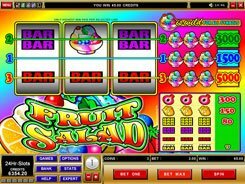 They can form winning combos when any three bar variants occur on the payline, e.g., get one 3-Bar and two 1-Bar symbols, and you do earn a minor payout. 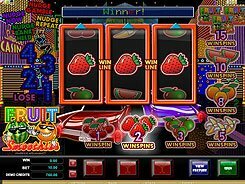 The largest award of $8000 is granted for three Orange symbols appeared on the payline, provided you have made a 2-coin bet. As a special feature, the slot has a wild symbol represented by the Orange. The wild replaces for other symbols to create a combo and doubles/quadruples the payout when substituting. PLAY FOR REAL MONEY!